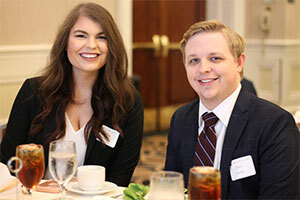 From business leaders to entertainment lawyers, alumni of the University of Louisville School of Law are using their legal education to make an impact in their communities and industries. These bright lights were celebrated October 25 and 26, 2018. 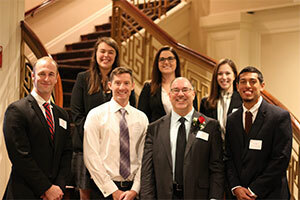 On October 25, Jonathan Helfat (1971) was honored as the University of Louisville's Law Alumni Fellow. Helfat is a partner at Otterbourg P.C. The New York City-based firm represents financial institutions and corporations. It assists clients with financing transactions, acquisitions, investments, litigation and alternative dispute resolution, real estate transactions, workouts, restructurings and bankruptcy proceedings. Helfat serves as co-general counsel to the Commercial Finance Association, Inc. and in this regard has represented the Commercial Finance Association in the filing of various amicus briefs before the United States Supreme Court and other appellate courts. Helfat is a fellow and past regent of the American College of Commercial Finance Lawyers and previously was a member of the Bankruptcy Judge Merit Selection Panel for the United States District Court for the Eastern District of New York. 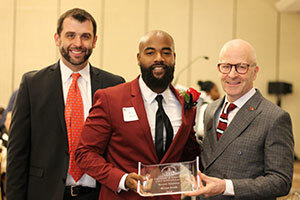 See more images from the awards ceremony and watch a video about Helfat. 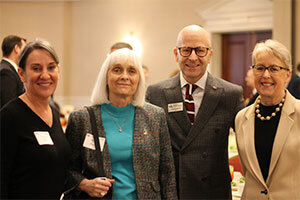 On October 26, the Law Alumni Council hosted its annual awards luncheon. 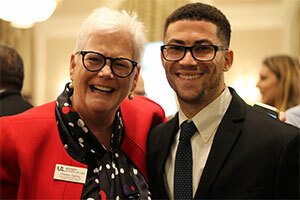 There, 12 honorees across seven categories were honored for their commitment to the University of Louisville School of Law and for the impact they have had on the legal profession. In her acceptance remarks, Edwards, Class of 1982, spoke of the impact Louisville Law has had on her life and career. 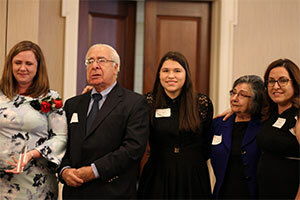 "As I look back now, I needed law school to help me think in a different way," she said, adding that she gained critical reasoning and analytic skills in law school. She also remarked on the importance of Louisville Law to the city of Louisville, where many graduates build their careers and contribute to society. "A strong, successful law school is critically important to a vibrant community," she said. "We need the law school to be strong and viable and successful because that's key to the success of our community." Read more about Edwards and the impact Louisville Law has had on her career.